Ends Today: Take 20% Off! Have you been dreaming of seeing your book published? We’re here to help make your dreams come true! 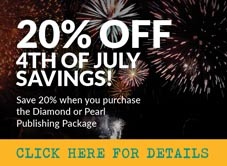 Today is the last day to take advantage of this amazing offer — receive a 20% discount on our two most popular publishing packages, Diamond and Pearl. 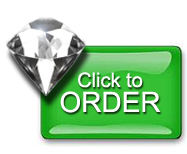 The discount saves self-publishing authors hundreds of dollars on valuable book publishing services. 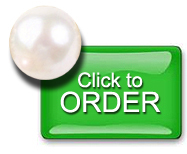 To receive this offer, add the Diamond package or the full-color Pearl package and enter the promotion code SAVE20 during check out. Don’t delay — this offer expires TODAY at 11:59 PM (MST)! Next Next post: Don’t Miss This! Last Chance for FREE SHIPPING!